​There are images that quiet the mind and soften the heart - images of beauty that call to the spirit and tug at memories made and ones yet to be made. These images are available to you at all times. They live inside your mind and can be brought forward at anytime to provide peace and tranquility. Above is one of my favorite images of the beach where I am now. I took this photograph early one morning, before others were up and about. Images are powerful tools for mindfulness. I invite you to look deeply into this image, breathe in and as you breathe out, let your body sigh and float into it. Feel tension evaporate. Feel your shoulders drop, your jaw loosen. Feel your breath become slower and deeper. Move from whatever it is on your to-do list this week into relaxation. Whatever you have to do will still be there but you will be in a different place. 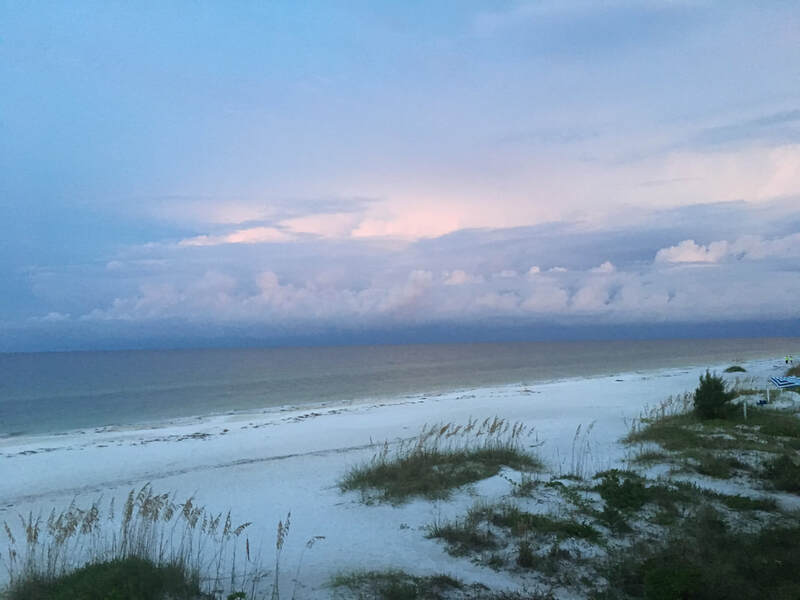 This week I'm sharing my beach with you through my guided meditation from my CD, titled From Stress to Serenity. This meditation is called The Well-being Vacation. Find what it is that stirs your senses and brings you into a vacation of the mind, emotions and body. ​I hope you enjoy. You can either download the file here or listen at the link below.